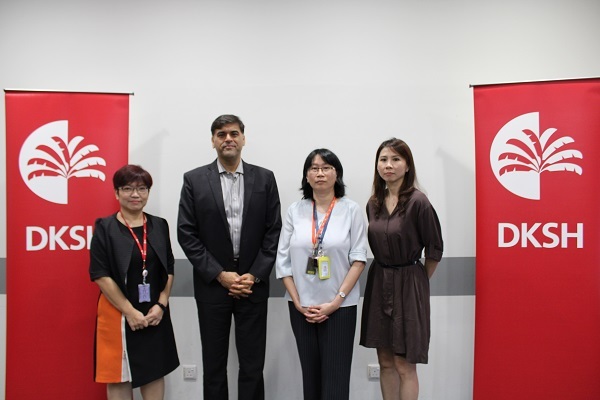 Petaling Jaya, Malaysia, April 9, 2019 – DKSH Business Unit Healthcare, has organized a health talk with Dr. Ooi Phaik Yee, consultant neurologist at Gleneagles Hospital in Kuala Lumpur, to share insights on how to recognize the early signs of this condition. Besides Parkinson’s being the second most common neuro-degenerative disease in the world, Dr. Ooi also addressed the added responsibility of caregivers. In Malaysia, the number of patients with Parkinson’s disease is expected to increase fivefold from the current estimated 20,000 to 120,000 by 2040*. Majority of those affected are elderly patients, who are 65 years old and above. Efficient care requires significant emotional and financial support from caregivers. Organized in conjunction with the World Parkinson’s Day which falls on April 11 this year, this lunch-and-learn session raised awareness of early detection and addressed real concerns of Parkinson’s disease. DKSH is the leading Market Expansion Services provider with a focus on Asia. The Group helps other companies and brands to grow in the Consumer Goods, Healthcare, Performance Materials and Technology sectors. DKSH’s portfolio of services includes sourcing, market insights, marketing and sales, distribution and logistics as well as after-sales services. Publicly listed on the SIX Swiss Exchange, the Group operates in 35 markets with 33,000 specialists, generating net sales of CHF 11.3 billion in 2018. With its strong Swiss heritage and long business tradition since 1865, DKSH is deeply rooted in Asia Pacific. The DKSH Business Unit Healthcare distributes pharmaceuticals, consumer health and overt-the-counter (OTC) products as well as medical devices. With around 8,800 specialists, the Business Unit generated net sales of CHF 6.1 billion in 2018.